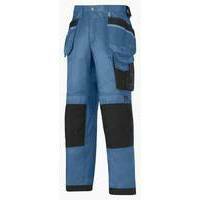 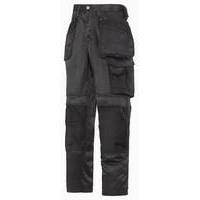 Extremely hard-wearing Snickers Work Trousers with Holster Pockets made in dirt repellent DuraTwill fabric. 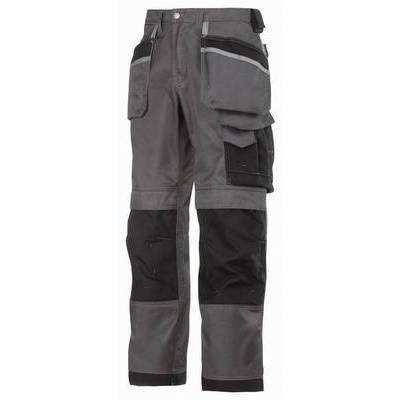 Features an advanced cut with Twisted Leg� design, Cordura� reinforcements for extra durability and a range of pockets, including holster pockets and phone compartment. Material: DuraTwill. 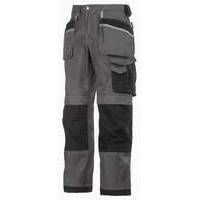 Durable fabric: soft cotton on the inside, slightly impregnated, for better protection, on the outside. 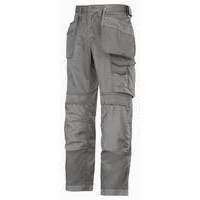 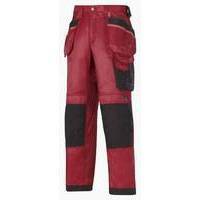 52% Cotton 48% Polyamide, 240 g/m�. Featuring 100% Cordura�-Polyamide reinforcements.